Here at Australian Motors Isuzu UTE, we are proud to offer our customers a fantastic selection of high quality, reliable Isuzu UTE ex-demonstrator vehicles. Our friendly team look forward to helping you find an Isuzu UTE to suit your lifestyle and budget. 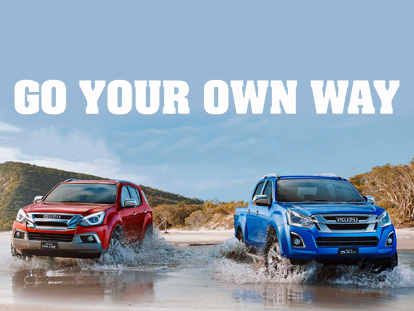 Buying a demo Isuzu UTE from our Wayville dealership is a great alternative to buying a new car. Our Isuzu UTE demos are in incredible condition are low in kilometres and offer fantastic value for money. Whether you choose a demo D-MAX or MU-X, you can be confident that you are driving home in a seriously tough vehicle that’s built to tackle all kinds of terrain, from mountain ranges to sandy beaches. Browse our range of Isuzu UTE demos for sale in Wayville below, and for more information, Contact a member of our sales team today.